Are you ready for the summer? Are you ready for the sunshine? We've got warmth and sunshine for much of our week ahead, but some storms could rain on our parade heading into later this week. Let's dig into the details. Sunday has brought abundant sunshine throughout the afternoon for the Memphis area and temperatures running mostly in the mid-80s. Lower humidity helps too, and that pattern is likely to continue into the beginning of the work week. Temps will slide into the mid-60s on Sunday night with partly cloudy skies, before jumping back up to the mid-80s on Monday. The next chance of showers and storms comes on Monday night as a "reinforcing" cool front pushes through, though any precipitation should be isolated in nature and mostly remain to our north. There will be a likely increase in clouds on Monday ahead of any rain, but overall should be a good day. Tuesday will see any early clouds decreasing with continued low humidity and warm temperatures. Wednesday continues the pattern of warmth, albeit with slowly rising humidity. It could become a bit more sticky, but temperatures remain in the mid to upper 80s for highs the middle of the week. The sun will remain a prominent feature in the forecast those days, while overnight will see mostly clear skies and lows in the upper 60s to near 70. 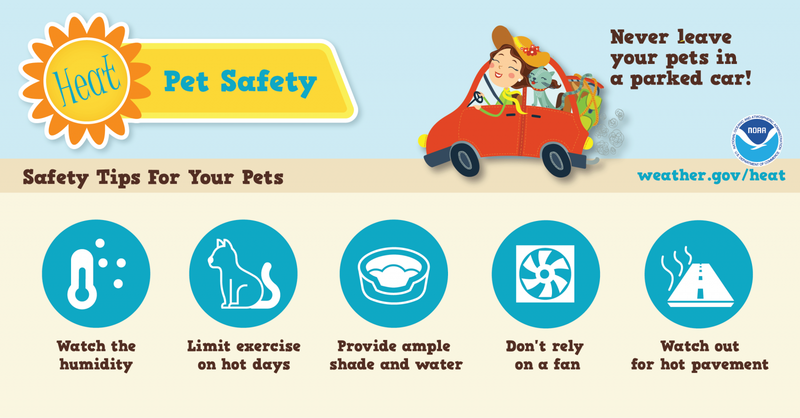 Be sure to keep yourself and your pets cool in the heat of the summer coming up. Here are some smart tips on how to keep your pets safe and cool this summer. As the latter part of the week approaches, there is an increasing chance of pop-up showers and thunderstorms around the metro area. With the heating of the day where temperatures could approach 90 degrees, along with increased humidity, it would not be surprising to see some storms fire up late in the afternoon and into the early evening hours. Temperatures continue to remain warm through the rest of the week with highs in the upper 80s to near 90. Lows will be on the rise too, with most nights dropping into the lower 70s. Heading into the weekend, we will be watching an approaching cold front from the west that could bring more widespread rain and thunderstorms just in time for the weekend. Fortunately, this messy weather should clear just ahead of the July 4th holiday coming up. Be sure to follow along with us on social media for all the latest weather for the Mid-South. Follow @memphisweather1 on Twitter or like us on Facebook. 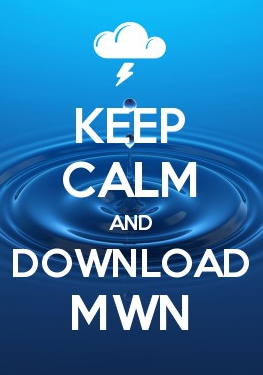 You can also download the MWN app from the Apple or Google Play stores, featuring pinpoint severe weather alerts from StormWatch+. And one last request - the Commercial Appeal's #MemphisMost contest ends Monday morning at 9am, and we've been nominated for "Most Accurate Forecast" for the first time ever! Please consider casting a vote at www.MemphisMost.com tonight or early Monday. You can even vote once an hour! Thanks much and have a great week!